Santander’s half yearly report shows that its UK arm saw pre-tax profits fall by 15 per cent year-on-year, from £1.06bn to £905m, as the lender was hit by greater competition. While the amount of mortgage lending increased by £2.3bn, growth which the bank expects to continue in line with the market, margins are being squeezed, resulting in a fall in net interest income of over 5 per cent. The bank says that it expects this income for the year ending to be lower than in 2017, “as a result of ongoing competition in new mortgage pricing and SVR attrition,” which describes the process of an increase in customers moving either onto fixed rate products or to another lender. This suggestion is backed up by recent figures released by UK Finance, that show that 95 per cent of new loans taken out as of May were on fixed rate deals. From 3 September, all Santander tracker mortgage products will receive a bump upwards of 0.25 per cent and the Alliance and Leicester and Santander standard variable rate will increase by 0.25 per cent to 4.99 per cent. 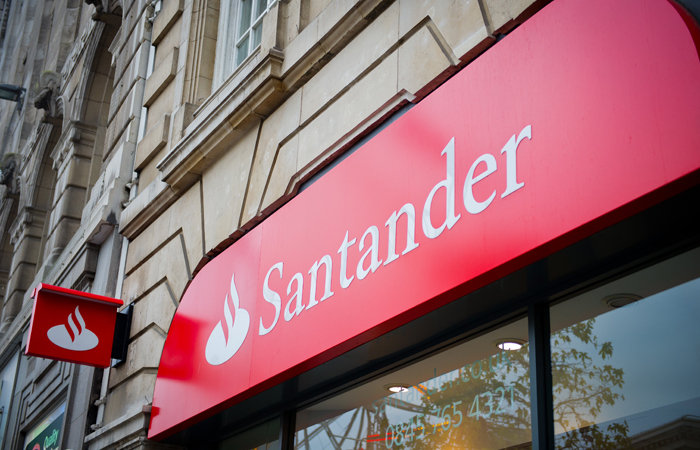 The Santander follow-on rate will also increase 0.25 per cent, bringing it to 4.00 per cent. Within the bank’s suite of savings products, the Help to Buy Isa will see a 0.25 per cent increase from 03 September, too.